Welcome to the website of Sir Tom Finney Community High School. I hope you find it useful and informative (this website is currently undergoing a review and reconstruction). We pride ourselves on offering a happy, safe, caring and stimulating educational environment which ensures the unique nature of our students and their individual needs can be met. Our curriculum challenges, inspires, empowers and prepares our students on their journey toward adulthood; as they work alongside skilled, experienced and knowledgeable staff. We are fortunate to have fantastic support from our parents, other professionals and the local community. Requests for paper copies of any information on this website will be provided free of charge please contact the school office. Sir Tom Finney Community High School was opened in September 2008 as a generic secondary special school. 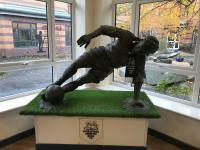 It was officially opened by football legend Sir Tom Finney whose handprints and replica statue have pride of place at the school entrance. 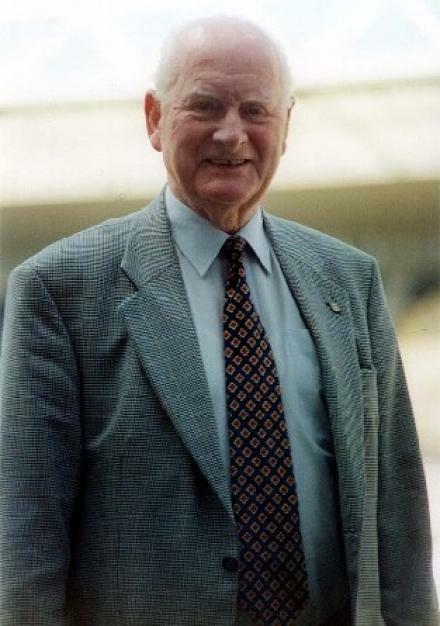 Sir Tom Finney passed away 14.2.14. He ensured a legacy of loyalty, sincerity and commitment and our school is proud to be associated with his name. Sir Tom Finney Community High School has developed its own distinct identity, ethos and principles on which it works. The school has had 3 full inspections by OFSTED and there has been an overriding agreement that the school's approach is always of the highest standard leading to positive outcomes for our learners across their personal, social, emotional and academic development in preparation for their future beyond school. (Click here for the full reports). The school relocated to refurbished and new build premises in September 2015 at its current site on Ribbleton Hall Drive, with an opening event led by Andrew Flintoff MBE, Brian Finney and representatives from Lancashire County Council. The school has gone on to further develop the site to meet the ever changing needs of our student population. This website offers a 'flavour of' and 'information' about the school, but we welcome visitors coming to see us and meet us all in person. Please contact the main office should you wish make an appointment. As a member of Lancashire Special Schools Teaching Alliance we are a collaborative partner with ELIP. Please click on the above image to access LCC SEND local offer. We are proud to be part of Preston's Teaching School Alliance comprising Primary, Secondary, Special Schools and PRUs working together with Cumbria University. Out of Hours lettings now being managed by school lettings solutions click on the SLS logo for more information.